Samsung NX3000 Preview: Small body, big ideas? Flip the new Samsung NX3000’s 3.0in HVGA (320x480px) resolution LCD screen around 180 degrees and take a self-portrait simply by winking at the screen. You won’t feel daft. Honest! 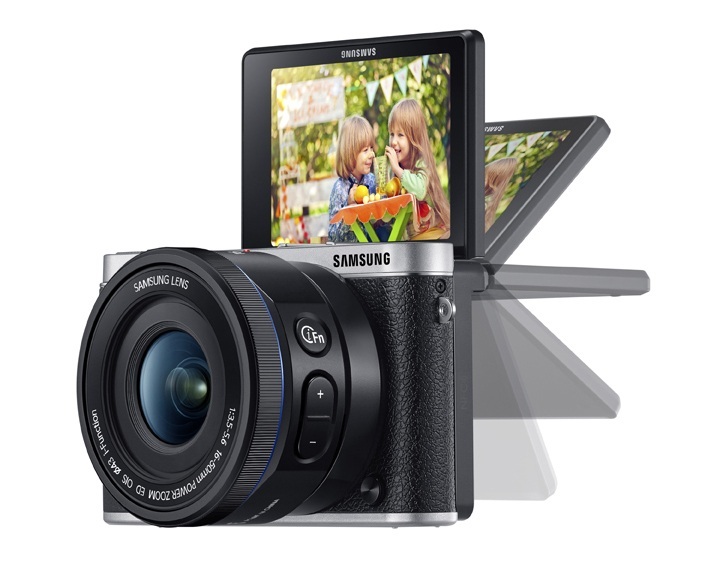 Hot on the heels of the NX Mini, launched back in March 2014, Samsung have now released a new hybrid camera in their NX range. The new Samsung NX3000 nestles into the South Korean manufacturer’s NX range between their NX300 and NX Mini models, and offers a large image sensor in a slim-line body. At the heart of the new NX3000 is a 20.3Mp APS-C CMOS sensor, which looks on paper to be the same chip found in the recently released Samsung NX30. 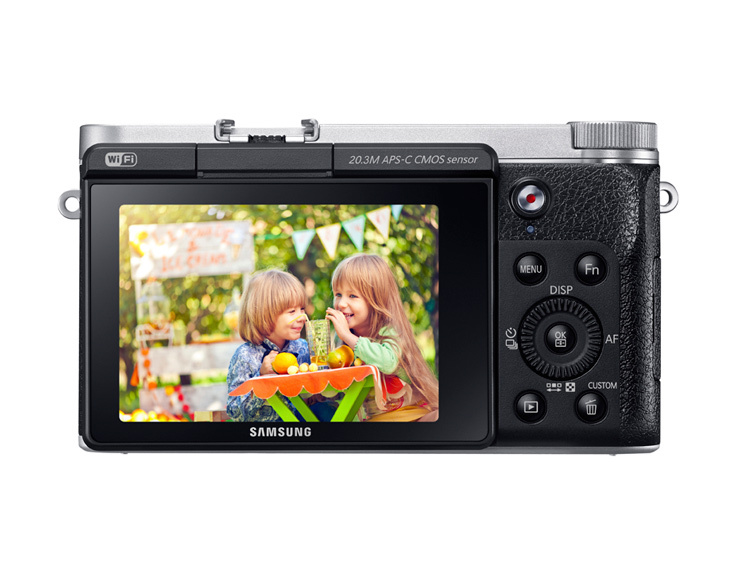 That bodes well for the NX3000, as thanks to its high resolution and extended 100-25,600 ISO range, the NX30 is the highest scoring Samsung sensor on our database. 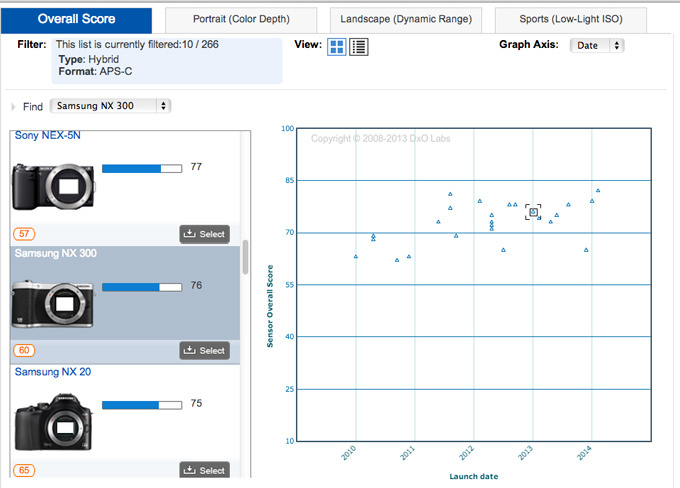 Achieving an Overall DxOMark Sensor Score of 76, the NX30 ranks 60th for all sensors on our database, and a respectable 10th for mirrorless cameras featuring an APS-C sensor. The NX3000’s slim-line design means there’s no room for an Electric Viewfinder, so photographers will have to rely on the LCD screen for composing images. That won’t bother much of the target market however, and perhaps trying to appeal to a broader market Samsung have also included a ‘flip-up’ LCD screen on the NX3000. Unlike the ‘vari-angle’ LCD screen designed for waist-level shooting, Samsung’s ‘flip-up’ screen allows photographers to turn the camera on themselves and frame up for the perfect self-portrait. What’s more, thanks to Samsung’s ‘Wink Shot’ technology, you don’t even need to press the shutter release button – just wink at the screen to take a shot! Other features include 5fps burst shooting, full HD 1920x1080px video, and stills capture in both JPEG and RAW file formats. 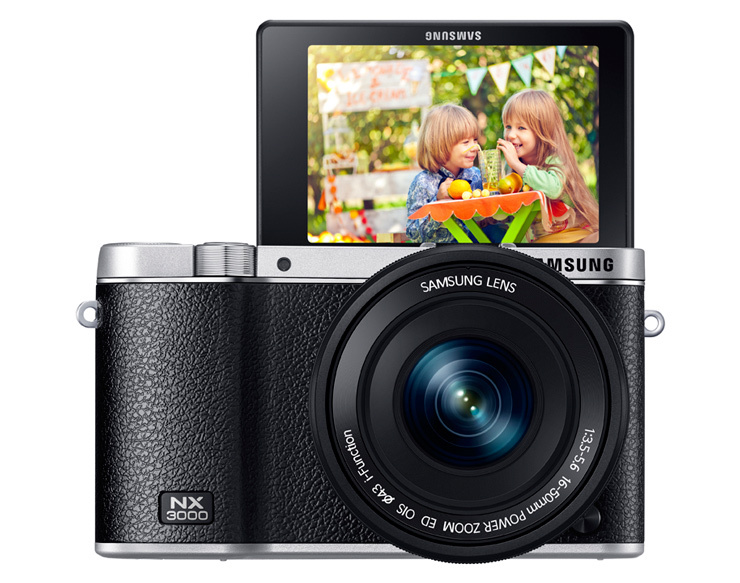 The NX3000 is also wi-fi enabled, allowing you to share images directly from the camera, and there’s a range of Samsung Apps and utilities available for backing up images over a network, or controlling the camera from a mobile device. 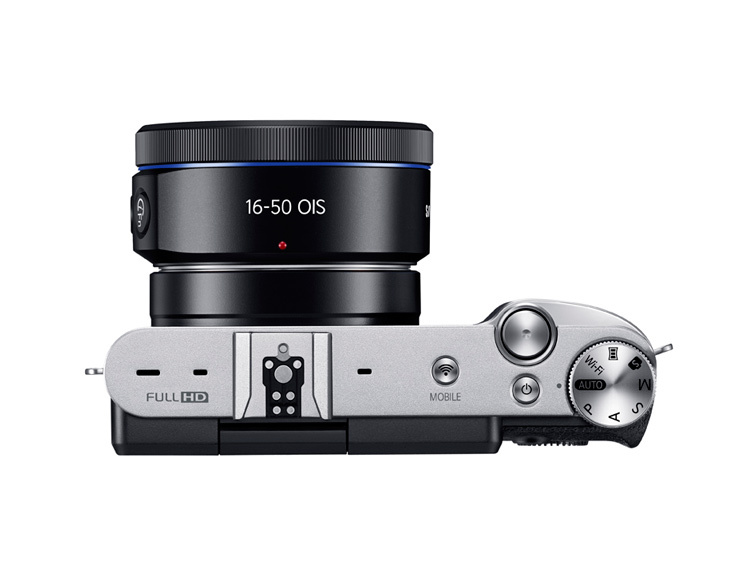 The NX3000 kit also includes Samsung’s new 16-50mm f/3.5-5.6 Power Zoom ED OIS lens, which features image stabilisation, and the zoom function can also be controlled wirelessly from a mobile device using Samsung’s Remote Viewfinder Pro App. The NX lens mount doesn’t currently offer the greatest choice of compatible optics, but there’s enough for most enthusiasts to be getting on with, including a couple of fast primes, a couple of wide angles, a macro and a ‘slow’ aperture telephoto zoom. There’s no built-in flash either, but the NX3000 does come supplied with a detachable flash unit, which slips onto the standard hotshoe. The NX3000 is also compatible with Samsung NX external flash units, which are available separately. 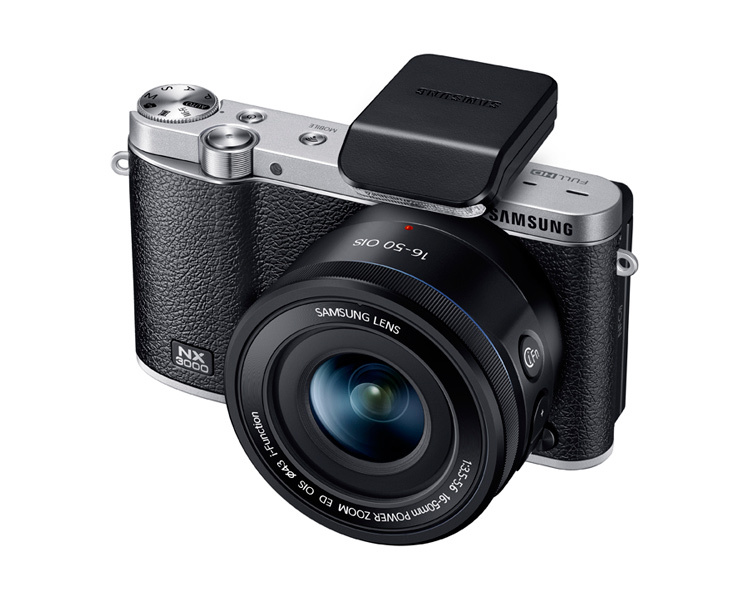 The new Samsung NX3000 will be available from mid June 2014 with pricing still TBC.